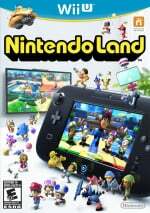 Nintendo Teams Up With Disney For "Wii U Showdown"
With Nintendo's quest to appeal to an extraordinarily wide range of gamers, it'll be susceptible to using marketing or adverts that make the older, jaded or more cynical amongst us gnash our teeth. These celebrity-based adverts can often be categorised as good, bad or cringeworthy, and we think another candidate for the latter has emerged onto the scene. A partnership with the Disney Channel gives us the "Wii U Showdown" commercial featuring characters from Jessie and Kickin’ It, shows admittedly not well known by those of us in Nintendo Life towers — or, it seems, games writers in general. Judging from some of the more positive comments on YouTube, these teen sitcoms seem to have a good number of fans. The showdown brings us two stars playing Takamaru's Ninja Castle from Nintendo Land, with lots of enthusiastic noise making and smack talking going on at the same time. More celebrity endorsements won't do Wii U any harm with the right demographics, though we imagine plenty will watch this video through their fingers. Kids will probably like it though. I already cringe when I see articles that are posted 5 days late. 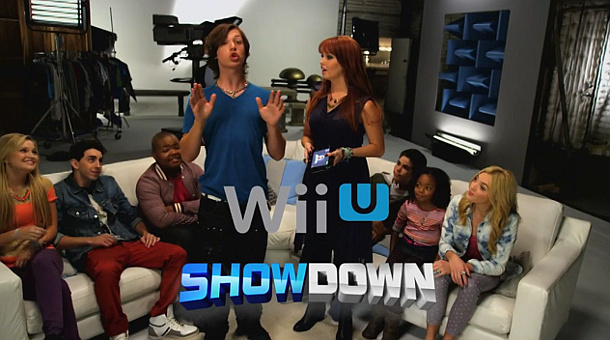 But seriously, we post as we see, if a Wii U advert with teen-sitcom stars was originally posted four days ago, we won't lose sleep over it. @ThomasBW84 I think I might lose sleep now that I've seen this. That was terrible. I keep wondering why there are so many bad commertials for the Wii U. Not this article. Then again I don't come here for the news. All bout them reviews, interviews and talking points. I'm not going to even let that video play. I might kill my monitor. To me, this is fine. Yeah, the commercial is insanely cringeworthy and cheesey. However, it suits Disney Channel and its audience perfectly. Kids will love this, and it'll get that "Mom! Dad! Can I get this for Christmas please?? It looks so cool!" reaction Nintendo wants out of kids going into the holiday season. I still think the commercials so far haven't been that great, but that's from a gamer's perspective. We aren't the audience Nintendo needs to get to buy the Wii U. For the most part, Nintendo just needs to release the good games and gamers will buy. I've bought the latest Nintendo game regardless of the commercial because I already was informed of its existence and I'm already a fan of Nintendo's games. Both usually aren't present traits in an average consumer, and Nintendo can't expect to get success on the Wii U with their fans only. Whether it's to your taste or not, the fact is that Disney has a HUGE audience, and if this drums up interest and sells more consoles, more games of all stripes will be made, which is good for all. I wouldn't be so quick to dismiss the marketing efforts Nintendo is putting together. [@Emaan posted while I was writing this] — Yeah, what he said. It's not your fault that the commercial was awkward, Wii U. ALL Disney Channel adverts are cringeworthy. Cheer up! I'm not upset about odd adverts. It's better than no adverts at all. Besides. This commercial tells parents that the Deluxe Wii U comes with a game. That will seem cheaper to them. i don`t see what the big deal is...i know at least one of those disney kids and i love her and her shows...she was on suite life on deck, she played bailey and has a new show called Jessie. I`m a big Disney fan. I've never even heard of either of those shows before now. @Emaan Eh, you have a point. Your average gaming nerd is probably not gonna be watching the commercials on Disney Channel. Kids will, though, and those are the ones this commercial was meant for. Doesn't stop it from making me want to puke, though. Screw Disney Channel, I'm a Disney Junior fan! Hmm... we're not treading new ground here, are we? The headline made me think that there was a SSBB-style Disney beat-em-up game in the work featuring Nintendo characters. I can't eat the amount I want to puke. Oh... the agony! The pain!!! What's even worse than this ad, is the realization that some of these kids are going to be flooding the airwaves and music TV with their godawful pre-fabricated pop music in the coming years. They are the stars of tomorrow.. Responsible parents would simply bar their children from watching the Disney channel if they harbour any hopes of them growing up to be interesting, reflective and intelligent adults.. This ad makes me feel almost embarrassed to even want a Wii U. Teen sitcoms (as you guys call it) are evil!! Ugh! Those shows are terrible! This doesn't surprise me because EVERYTHING on Disney Channel is terrible, still don't understand how kids like that stuff. Well... thanks for your contribution, Disney. I guess. Hey, at least this will reach the kiddie audience and hopefully lead to system sales, right? "Let the powning commence" arrrrrrg it's cod 4 all over again! One of the funniest things i ever heard was a squeaky voiced kid tell me i just got "powned" over xbl! Not buying a Wii U until a Suite Life on Deck game with online multiplayer comes out. I like how they disabled comments and ratings.